The educational mentorship program spearheaded by Morphosis principal and co-founder Thom Mayne headed into its third semester this year. 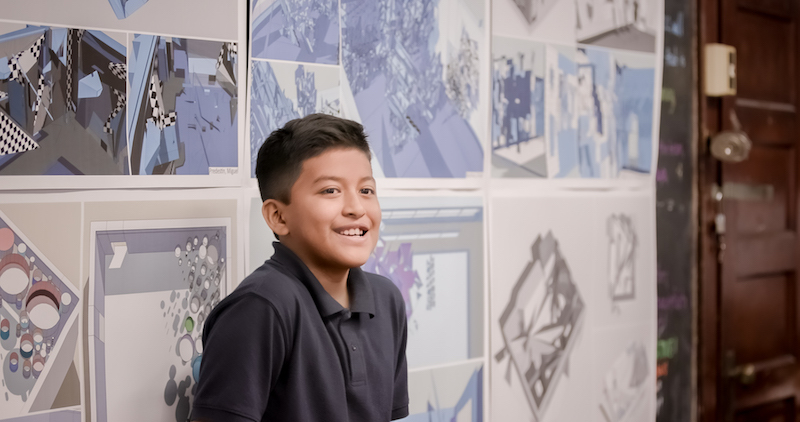 For sixth graders at Hall Elementary School in Bridgeport, Connecticut, the Thom Mayne Young Architects program was a chance to receive an architectural education and access to design software via after-school classes led by Pratt Institute architecture students. Tonight, Mayne himself will host a closing reception of their final projects from last semester at Pratt Institute's Higgins Hall, beginning at 6pm. Founded in 2017, the Thom Mayne Young Architects program was spurred by Mayne's participation in President Barack Obama's Committee on the Arts and Humanities. Mayne partnered with TurnAround Arts, a 2012 program launched by Michelle Obama and the president's committee to bring arts education to the bottom five percent performing public schools, which includes Hall Elementary. The sixth grade students have been working on a site close to home–their own classrooms. Their design prompt is to create a "beautification proposal" for their classrooms. In the course of the 12-week program, students learn about design thinking, architectural design fundamentals and computer design, aided by the donation of Pixelbook laptops loaded with design software by Google. Beyond design skills, the program also includes lessons about photo editing, branding, marketing, and budgeting. The exhibit, which opened on February 12, closes on Saturday, February 17. Milanese practice Parasite 2.0 has won the Young Architects Program (YAP) MAXXI 2016 competition with its installation MAXXI Temporary School: The museum is a school. A School is a Battleground. In its sixth year, the program to recognize young architects with a pavilion commission was organized by MAXXI in conjunction with MoMA/MoMA PS1 of New York. Producing "mobile sets that erase the boundaries between natural and artificial," Parasite 2.0 was selected for its ability to reflect the notion that contemporary architecture is the creation of a "scene." This is done explicitly via the use of wood, rubber, and metal, all composed to form a pop-art-esque movie set on wheels. Vibrant colors, flashing lights, and even cactii cut-outs give the project the distinctive feel of Las Vegas. Among the symbols that adorn Parasite 2.0's sets is a crying luminescent emoji. Meanwhile, over-exaggerated forms and objects take on a satirical tone. The mobile scene, said MAXXI, will be the "backdrop to the museum’s summer events and for the thousand-like selfies of its visitors, but also a reflection on the disappearance of the boundary between space and its representation." An international jury chose Parasite 2.0 as the winner due to its "project’s characteristics place it at the borders between architecture, set design, art and performance." In a statement, organizers said, "Its victory was decreed by its playful, welcoming composition, the inclusion in the project important aspects relating to tis communication and “social” interaction and lastly its ties with a museum, theatrical and cinematographic construction tradition deeply rooted in the history of Rome." Parasite 2.0, primarily a production and research lab, is comprised of Eugenio Cosentino, Stefano Colombo, and Luca Marullo. Together, their work stems from the dynamic of architectural production and urban life. The jury included Pippo Ciorra, Senior Curator MAXXI Architettura; Margherita Guccione, Director MAXXI Architettura; Hou Hanru, Artistic Director MAXXI; Monia Trombetta, Coordinator MAXXI Arte; Sean Anderson, Associate Curator of Art and Design MoMA; and Massimo Alvisi, Alvisi Kirimoto + Partners. The winner was chosen from a shortlist that also included Deltastudio (Ronciglione – VT), Angelo Renna (Prato), de gayardon bureau (Cesena), and demogo (Treviso). Goldstein, Hill & West Architects (GHWA), in partnership with developer Chris Xu, just unleashed a 79-story residential tower on Long Island City, Queens. 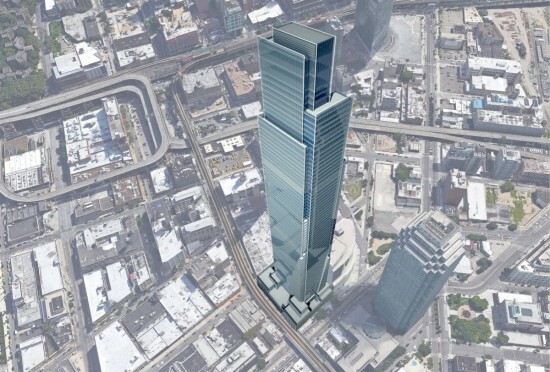 At 963 feet tall, the tower will be 305 feet taller than its neighbor, CitiGroup's 50-story One Court Square, already one of the tallest buildings in the neighborhood. The ground floor will sport 19,721 square feet of retail, while 774 apartments will be spread over 759,412 square feet of residential space. Xu bought the 79,000-square-foot site for $143 million from Citigroup in July 2015, YIMBY reports. This is not the New York–based firm's first high rise: GHWA is behind Long Island City's 42–12 28th Street, a 57-story residential tower, as well as 605 West 42nd Street, a glassy 60-story residential tower "detailed in a clean modernist idiom." Walking down Jackson Avenue, it's hard not to notice all the new high rises going up in the neighborhood. Walking down Jackson Avenue in the late afternoon, though, and it's hard not to be blinded by the sunlight that reflects from all those new buildings. The so-called Court Square City View Tower is a mere four blocks from MoMA PS1, and, although there's no word yet on when construction will begin, visitors to PS1 this summer will be thankful for the central feature of Escobedo Solíz Studio's Young Architects Program installation. The colorful rope canopy promises to shade visitors from skyscraper sunburns, giving a whole new meaning to Warm Up. Mexico City–based Escobedo Solíz Studio is the winner of the 17th annual MoMA PS1 Young Architects Program (YAP) in Queens, New York. 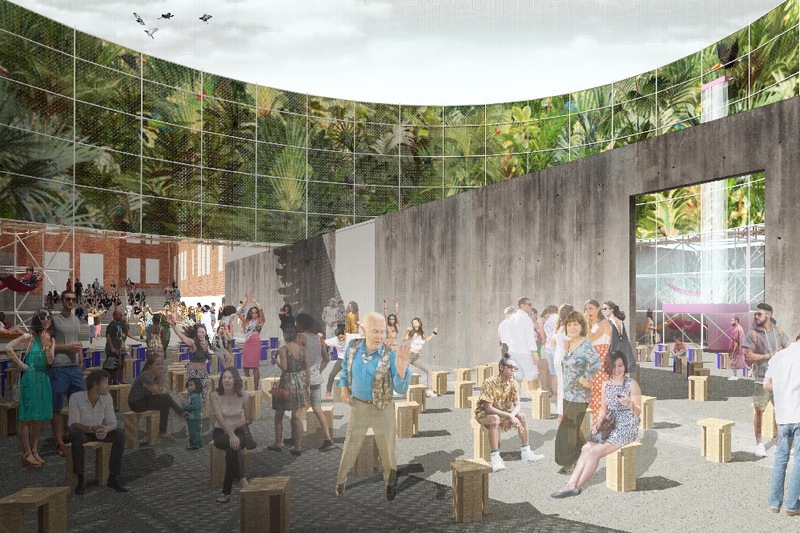 Escobedo Solíz Studio, beat five finalists to design a temporary urban landscape for the courtyard of the 2016 Warm Up summer music series. 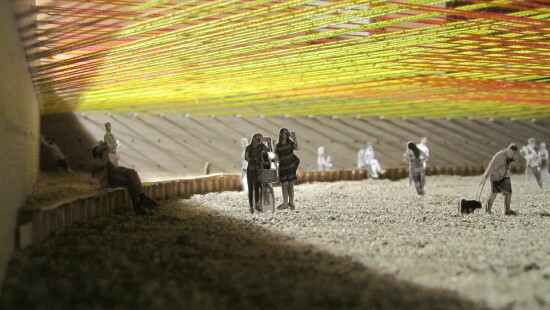 Weaving the Courtyard, will open at MoMA PS1 in Long Island City in early June. 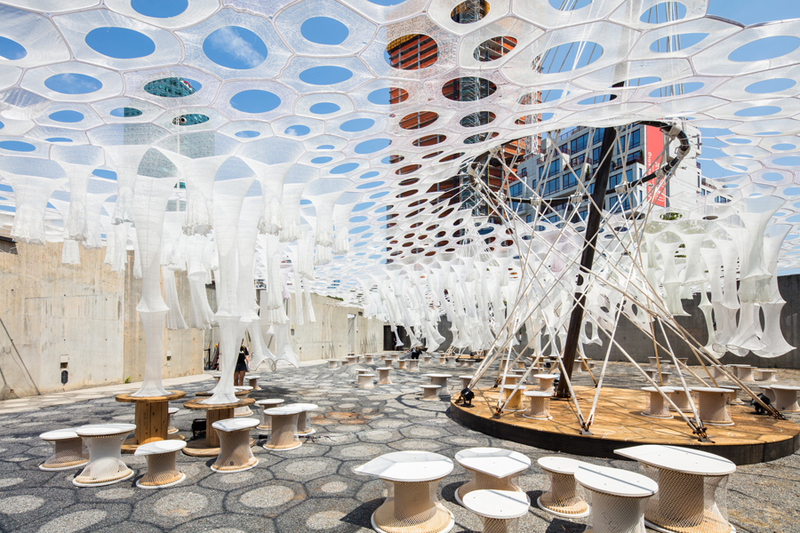 According to the architects, the installation will be “neither an object nor a sculpture standing in the courtyard, but a series of simple, powerful actions that generate new and different atmospheres.” The canopy departs from the last few object-based interventions, such as Wendy, Hy-Fi, and COSMO. A vibrant, colorful landscape will be created by using the formwork holes in the walls to anchor colored bands. Water will again be an experiential component, as a wading pool will allow visitors to cool off in fresh water. “This year’s finalists of the Young Architects Program explored a range of approaches, materials, and scales to effectively question the MoMA PS1 courtyard as an arena for escape. Escobedo Solíz’s ingenious proposal speaks to both the ephemerality of architectural imagery today but also to the nature of spatial transactions more broadly. From the evocative woven canopy that will engage visitors overhead to a reflective wading pool, Weaving the Courtyard sensitively brings together elements of MoMA PS1’s Warm Up Series with an exuberant collection of zones and environments,” said Sean Anderson, Associate Curator in MoMA’s Department of Architecture and Design, in a statement. Klaus Biesenbach, MoMA PS1 Director and MoMA Chief Curator at Large added, "This year marks the 40th anniversary of MoMA PS1 and the 17th joint annual competition brought together by the Architecture and Design Department at MoMA and MoMA PS1. 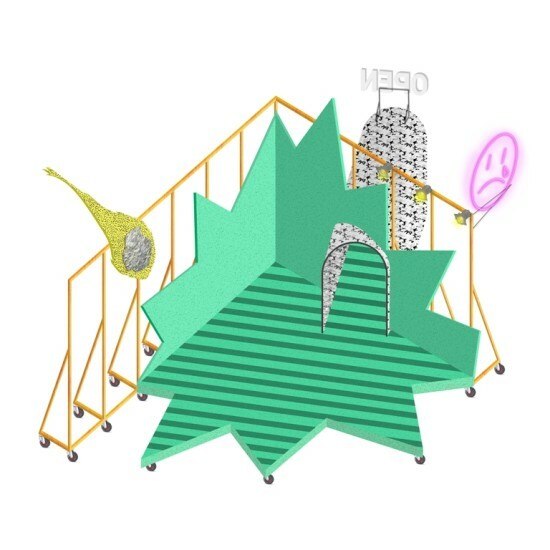 The Mexico City-based team will work on a colorful, celebratory intervention that takes its point of departure to be the existing geometric concrete forms in the courtyard of MoMA PS1 simultaneously creating an urban beach of sand, water, and vibrant colors.” https://youtu.be/aH72lU4AGpU The other finalists for this year’s MoMA PS1 Young Architects Program were First Office (Andrew Atwood and Anna Neimark), Ultramoderne (Yasmin Vorbis and Aaron Forrest), COBALT OFFICE (Andrew Colopy and Robert Booth), and Frida Escobedo. An exhibition of the five finalists' proposed projects will be on view at MoMA over the summer, organized by Sean Anderson, Associate Curator, with Arièle Dionne-Krosnick, Curatorial Assistant, Department of Architecture and Design, MoMA. 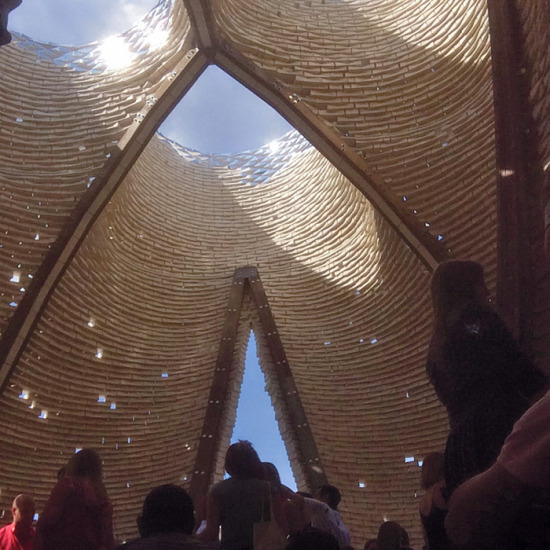 MoMA has announced five finalists for the 2016 Young Architects Program. 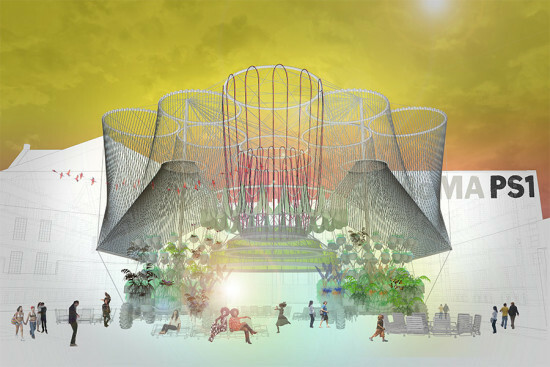 The winner will design and build an installation in MoMA PS1's courtyard during the summer Warm Up performance series. The honor is considered one of the most prestigious platforms for emerging architects in the United States and internationally. Notably, there are no New York architects on the lists this year. This is the program's seventeenth year. To choose the finalists, editors of architecture publications and deans of architecture schools nominate around twenty established architects working in a new style or with new methods, current students, and recent architecture school graduates. Practitioners and curators from the art and architecture worlds winnow the field down to five finalists. First Office / Andrew Atwood and Anna Neimark, Los Angeles ESCOBEDO + SOLIS / Lazbent Pavel Escobedo Amaral and Andres Soliz Paz, Mexico City ULTRAMODERNE / Yasmin Vobis and Aaron Forrest, Providence, Rhode Island COBALT OFFICE / Andrew Colopy and Robert Booth, Houston, Texas Frida Escobedo / Mexico City Last year, Madrid- and New York–based Andres Jacque Architects/Office for Political Innovation won the competition with COSMO, a living machine that makes the water filtration process visible. The whimsical installation commented on sustainability as well as architecture as the product of global networks. COSMO was sourced from generic parts in Spain, shipped to New York, and assembled onsite. Each year, the MoMA/PS1 Young Architect’s Program features an exciting design by an up-and-coming architect in the courtyard for the Warm-Up series. This year Madrid- and New York–based Andres Jaque and his Office for Political Innovation will build a huge, roving sprinkler system called COSMO that will surely liven up the event. However, it is different from years past: It will be built in Spain and shipped over by boat. Why? “Architecture is no longer about sign or form,” Jaque told AN. “It is about social networks, and how materials move through those networks. Architecture is nothing if it doesn’t engage these networks.” The design for COSMO is made from off-the-rack parts that are not altered in anyway as they are assembled on site. They remain as generic as possible so that they can be reused more easily. “We are designing them so that we don’t have to cut them. If we cut them we would be minimizing their reuse potential.” This could mean making something locally, or shipping it globally. It is a rethinking of what something means to be local. Much of COSMO could be made anywhere in the world. The parts are put together with wires, which are also reusable. The novel tectonics of COSMO are derived from the new, specific ways that the generic parts are put together. When the parts are allowed to have life after architecture, they take on 2nd and 3rd lives elsewhere. “It is a new way to relate to the land,” Jaque said, “It is an alternative to consumption. We want to give things more lives. It is a different culture of materiality that we want to bring to PS1.” Irrigations systems have been a recurring theme in Jaque’s work. He sees them as one of the original and most complete, open source knowledge systems. Since the 1940s, the collective intelligence of irrigation systems have been evolving so that anyone can use the technology. This radical way of thinking about objects and their networks is something the Spanish architect has researched extensively over his career, since growing up. “My family comes from Madrid but also from Aquitaine in France. Both parts of my family had their lives divided between cities and countryside. In France I remember spending summers looking and playing with the centered pivot irrigation systems that my uncle had in his farm,” said Jaque. “I also saw the way he transformed them and exchange parts of it with his neighbors. I guest it all started with that. It was part of a neighbors-based economy.” COSMO is not the first PS1 project to give afterlife to building materials. Past winners such as SO-IL, CODA, HWKN, and Interboro Partners have used ready-made parts that can be re-used after the summer, such as scaffolding, ping-pong tables, skateboard decks, and a host of other objects. “Billion Oyster Pavilion,” one of the 2015 Figment pavilions on Governor’s Island, is specifically designed to be thrown into the New York Harbor later this summer, where it will take on new life as an oyster habitat. According to Jaque, bringing in parts from all over the world is actually better for the environment. This new, global way of producing an architecture is actually more energy-efficient and causes less emissions, due to the sheer volume of freight that a boat can handle compared to a truck. So shipping tires from Turkey is better for the environment than bringing them from somewhere in the U.S., since New York has a harbor. The team also found irrigation pyramids in Spain, where they were more easily procured. The parts are expected to arrive in New York sometime in May, and should be ready for the June 27 opening Warm-Up. MoMA and MoMA PS 1 have announced the winner of the 2015 Young Architects Program from a shortlist of five firms: Andres Jacque Architects/Office for Political Innovation. Based in Madrid and New York, Jacque's firm will build COSMO, a large structure made of irrigation tubes and planted zones, which will make the process of water filtration visible to PS 1 visitors. The structure will contain 3,000 gallons of water which will take four days to complete the cycle of purification through the structure. 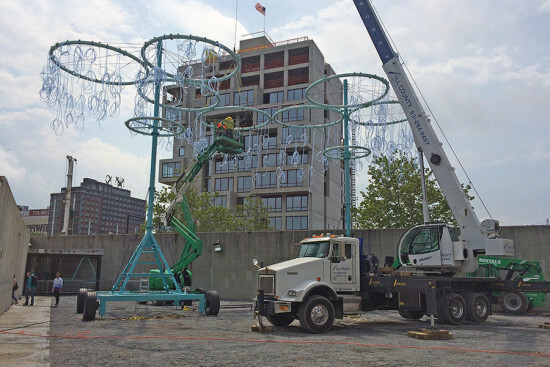 Seating and performance areas will be located underneath the suspended structure, which, when illuminated at night, will become a beacon in the neighborhood. The project is intended as a prototype, which could be recreated anywhere in the world to create fresh drinking water. "This year's proposal takes one of the Young Architects Program's essential requirements—providing a water feature for leisure and fun—and highlights water itself as a scarce resource," said Pedro Gadanho, a curator of architecture and design at MoMA, in a statement. "Relying on off-the-shelf components from agro-industrial origin, an exuberant mobile architecture celebrates water-purification processes and turns their intricate visualization into an unusual backdrop." 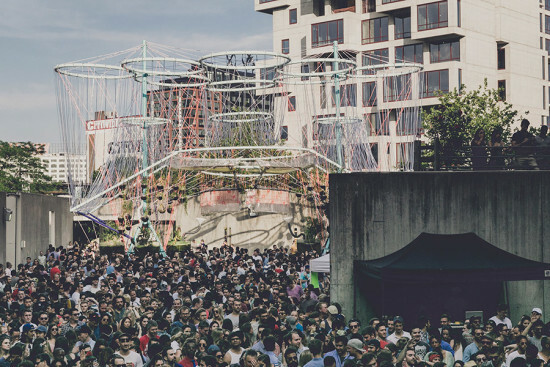 COSMO will open in late June as a part of the annual Warm Up summer party series at MoMA PS 1. The Young Architects Program has become on the world's leading showcases for emerging architectural talent.